Eat your way through Hong Kong’s famous foodie scene. 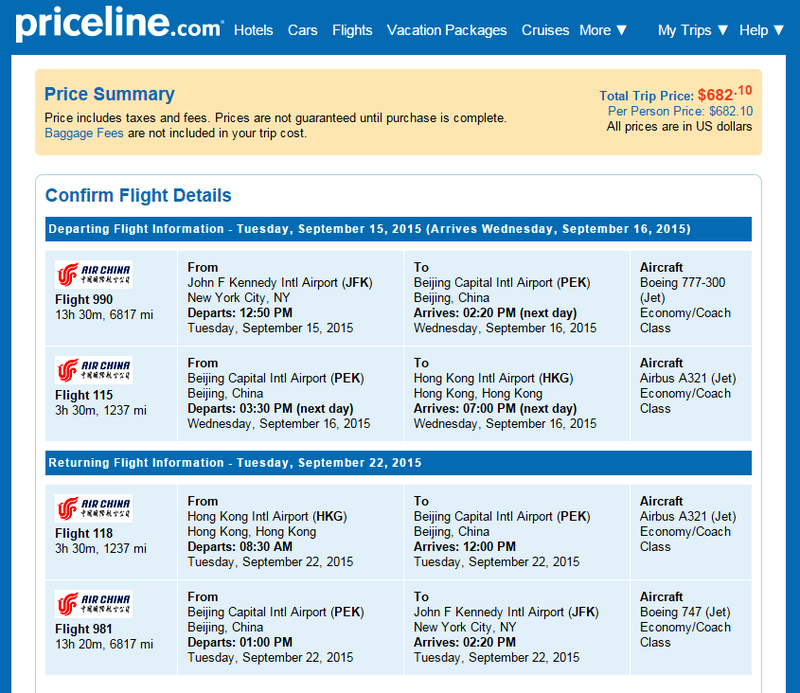 Fill up on dim sum after booking a flight to southeastern China from New York City for $683 roundtrip, including tax. 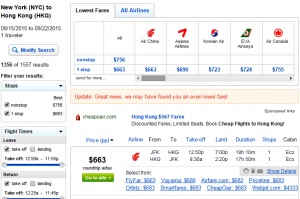 Travel September-November and save over $800 on flights. 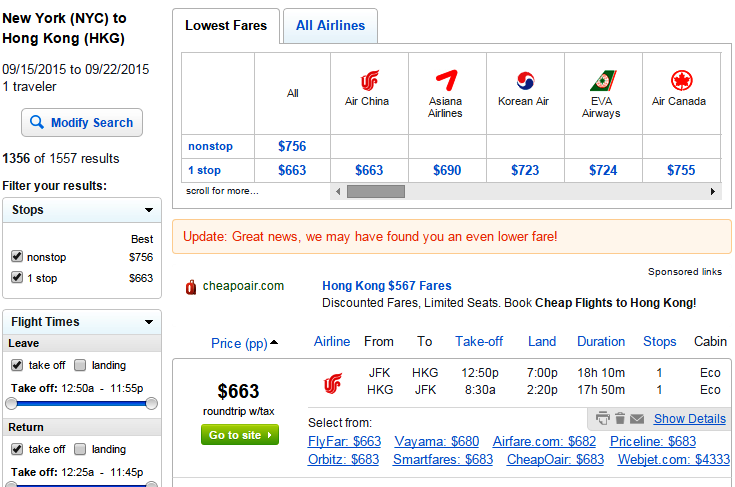 For more cheap flights from NYC click here. 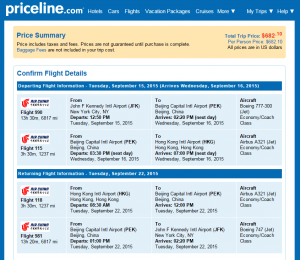 Over $800 off the typical cost of this route.